Mirela stared Gavril down for a moment then turned to Kaen and her breath caught in her throat. “Master…” She faltered briefly, overwhelmed by his presence. She ignored Gavril, never taking her gaze from Kaen. “Please, Master,” she whispered. Kaen reached out and gently cupped her cheek with one hand, looking into her eyes. He had no idea why Gavril was trying to prevent her offering, but he did know that she was one of his people and she had turned to him, seeking his protection, and he could not refuse her silent plea. “Mira? What’s going on?” Gregor asked. Mirela’s gaze never wavered from Gavril’s. “Ask him,” she said, a challenge in her voice. “I am here,” Mirela’s quiet voice cut off Gavril’s answer. Gently he set her back on her feet and she smiled, drawing her ceremonial blade, never taking her eyes from his as she raised her wrist and made a cut, speaking the ancient words. Kaen took her wrist gently and lowered his head, accepting her blood offering, suddenly overcome with emotion as he began to truly understand – truly know – that these people had been waiting for his return to a place that he could not remember ever having been, but a place that he knew was home. All in all, it’s been a fairly productive three days off. First of all, I came up with some potential cover images for Sanguine, so please go vote for one if you haven’t already. I’ve added words to my current WiP (Book Two of The Other Mages trilogy). Only a couple thousand, and a lot of them are probably going to be cut, but sometimes the important thing is to just keep writing, because sooner or later something that you write is going to show you the way to move forward. And yesterday something did so I’m excited about the project again. I’m not sure how to segue to it, but since this is just a first draft I’m perfectly content to write [SEGUE NEEDED] and get on with it. And I’m working on outlines for November. No, I’m not planning on doing two novels in November – I did that once and swore to never do it again – but I’m having trouble deciding what to write. 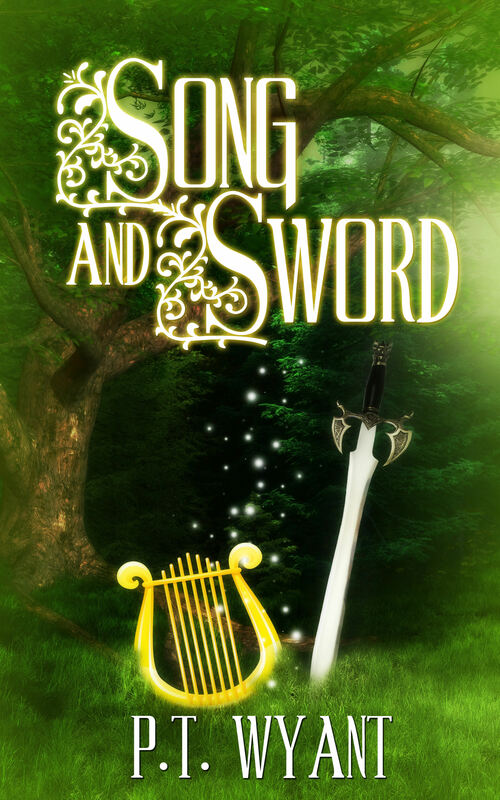 Sarah wants a sequel to Sanguine, but Rowland has been patiently waiting for a sequel to Song and Sword. And then there is Book Twelve of The Academy of the Accord series that needs to be written (along with Books Six, Seven, and Ten, but they’ve been sort of started so they don’t count). And of course, there are a few other plot bunnies hopping around nibbling at the edges of my mind… It’s getting crowded in there and will be worse by the end of October. Oh, and I got the email from HQ that the 2014 Municipal Liaison kits are ready, so if I hadn’t already been thinking about NaNoWriMo I would be now anyhow. But now I have to plot and ponder how to use this year’s “theme” for my region. And start putting together a calendar of events. Other than more work on the outlines, which I’ll print (on reused paper) and take to work with me, I doubt I’ll get much done for the next week or so. I’m working five days in a row, get one off, work one, get one off, and then will be working at least three days. (I haven’t seen that schedule yet.) I’m hoping that during my next run of three days off I can get Sanguine formatted, but I know I’ll be too wiped out to do it next week. Happy Labor Day to those in the United States. It’s just another work day for me, although one that has a better rate of pay than normal. And I’m in a really good mood and am going to happy dance through my shift. Also on my agenda for tomorrow is figuring out Goodreads. Yes, I am slowly forcing myself into the self-promotion thingy. Ugh, ugh, and double-ugh. Triple-ugh, even. Towards that end, I set up a Wattpad account and am posting chapters from both Song and Sword and Sanguine on it. Song and Sword is a bit easier to do because with Sanguine I have to read over the excerpts first to make sure they aren’t too explicit. I’ve also been making myself a list of things to do on a daily basis, and looking at it tells me one thing: fall is starting. I always get a burst of energy in the fall and think I can take on the world. And that world includes all of the plot bunnies that are hopping around in a folder on my computer. Right this minute I want to write everything. Right now! All at once! P.S. Hopefully by Friday’s post I’ll have at least narrowed down the choices for the cover for Sanguine. If I have, I’ll have a page for them here for previews and feedback.